Yeah, that's right! I went there! Actually, I just realized it's the natural progression from the washi tape envelopes from yesterday... A matching notecard, of course! It's even easier than the envelopes. Basically take a piece of card stock in the desired size, round the corners and then use the same technique as with the envelopes to frame the card. Super easy and, really, almost necessary with the envelopes, wouldn't you agree? I love writing this blog and especially when I get to interact with you, my awesome readers. It's especially satisfying to know that you guys are actually using the tutorials I write! 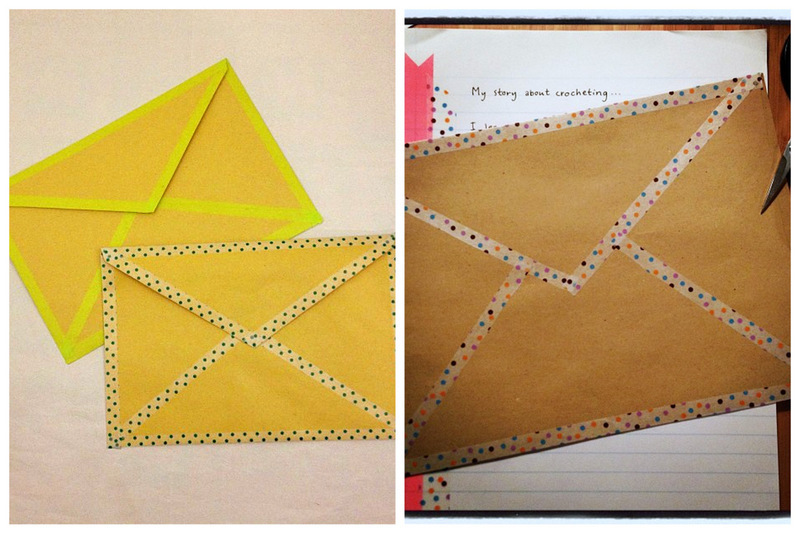 Here you can see two versions made using the washi tape envelope tutorial from yesterday. Made by Fab (on the left) and Puk (on the right). If you make anything using a tutorial I wrote, please let me know! Send me a link to your project or just e-mail a photo! I'll happily publish it here in Brinner Time! I am working on other things as well. Currently my desk is a chaos of red. But, no, it's probably not what you think it is... More on that next week. 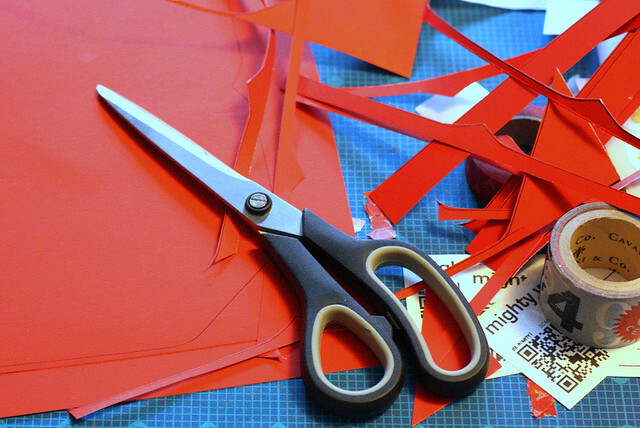 So, what kind of a crafty project are you working on? That's awesome! Great minds think alike, right? I can't wait to see them!